Overwhelmed by the number of emails flooding your inbox each and every day? Find it frustrating how your emails get disorganized and kill your productivity? 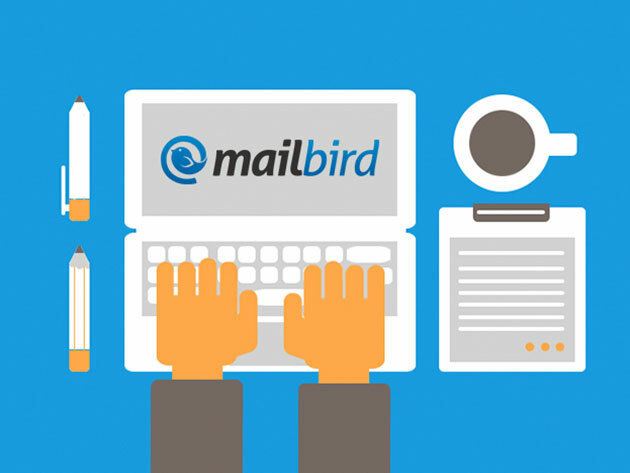 With a Mailbird Pro: Lifetime Plan, you can easily make your email work for you and rediscover the great feeling of a well-organized life! This email client integrates your messaging apps, task management apps, and calendar apps into a single, central interface. Meaning, you don’t need to hop between different windows and screens when communicating with family, friends, and coworkers. Plus, Mailbird’s interface is secure and customizable, with different colors, layouts, and automations that make your email experience completely your own! In addition, this powerful tool — which supports multiple accounts with complete touch functionality — has a fully unified and synced contact manager with grouping and linking. This empowers you to manage all of your personal and business contacts in one place, so you can touch base with anyone from your life in a breeze. Pick up a Mailbird Pro: Lifetime Plan at IGB Deals today for $14.99, a price drop from its original $19.99.